You might occasionally need to view an account’s raw access logs for HTTP and FTP. 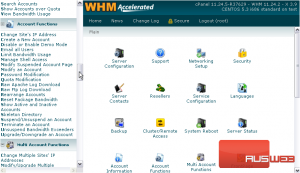 They can be viewed from cPanel, but WHM as well. 1) Go to Account Functions in the menu. 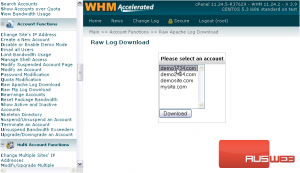 2) Click Raw Apache Log Download. 3) Select a domain name from the list. If the domain has transferred any data over HTTP, you should now be given access to download a text file containing the log. Otherwise, you will be informed that the log file is empty. Raw FTP Log Download functions in exactly the same fashion as the page for Apache. This is the end of the tutorial. 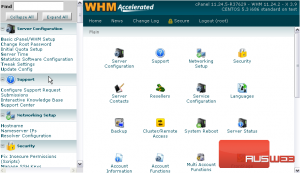 You now know how to view the raw HTTP and FTP logs for an account in WHM.